The GeTaHead Training Salon always provides professional and high quality standards of services and treatments. We ask that you appreciate the students are undergoing training and assessment and this is reflected within the discounted prices. This means service delivery may be slower, so extra time allowances are required. At all times, highly skilled and qualified staff will support and monitor the treatments. 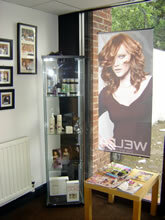 They will aim to ensure that all clients leave the salon satisfied and with salon quality styles! In the unlikely event a client is unhappy with the service or treatment they receive, we would ask that they have a discrete word with the GeTaHead Trainer. This will ensure the problem is appropriately addressed and the student can be given necessary support guidance and further training. Colour Touch will last about 16 - 24 washes, but will fade gradually, It will lightened add colour and tone whilst providing shine. Koleston Perfect is permanent colour that will grow out with normal hair growth at a rate of approximately 1cm per month. It provides 100% white coverage and can produce natural or vibrant colours whilst being kind to the hair and with added conditioners to produce a shine. Colour correction or other colour techniques not listed the price will be discussed during consultation. Please note these prices are designed to cover the cost of products and materials. 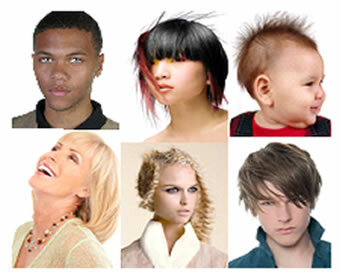 In the event additional colour is required, for example with very long hair an additional cost may be added, but this will be explained by the salon staff during consultation. An additional half tube of colour will be £4.00 on top of the prices above. Treatment availability will depend on the students working in the sessions. Please call 01777 862778 for an appointment, email the salon on getaheadsalon@hotmail.co.uk or simply pop in on a Monday, Tuesday or Wednesday for more information. A loyalty scheme is available for clients who introduce new clients to the salon. Skin Testing – The Facts! Why do I need a skin Test? At any time you can develop an allergy to the ingredients in colour. The skin test is important to check you will not have an allergic reaction. If you fail to have a test and react the results can be alarming, severe swelling, irritation and redness. In acute cases it can lead to an anaphylactic shock and death. – Haven’t had a colour for more than 6 months. – Haven’t had a test for more than 12 months. – Had henna, permanent make-up or a skin tattoo since your last colour. – Have had an allergic reaction to any products since your last colour service. A record of your skin test will be made and you will be required to sign to say you have provided all the necessary information to the best of your knowledge. If you have not had the test inline with the information provided above the colour service will be refused. Please note we will not colour your hair without a doctor’s consent if you have had an allergic reaction to colour, henna, permanent make-up or tattoos previously or if you have a sensitive, itchy or damaged scalp or you are taking an medication to treat allergies.